My Older Bro | Ross Gale is a writer and editor from the Pacific Northwest. When my older brother KC was three he was walking down some steps to his seats at a Seattle Mariners game in the Kingdome. He tripped and rolled under the railing and fell twenty feet below. He landed on cement. He was in a coma for a number of months and by the time he came out of it he had to re-learn how to do everything again. He’ll be turning twenty-five this month. He’s a photographer and has gotten a number of pictures published in local newspapers and such. 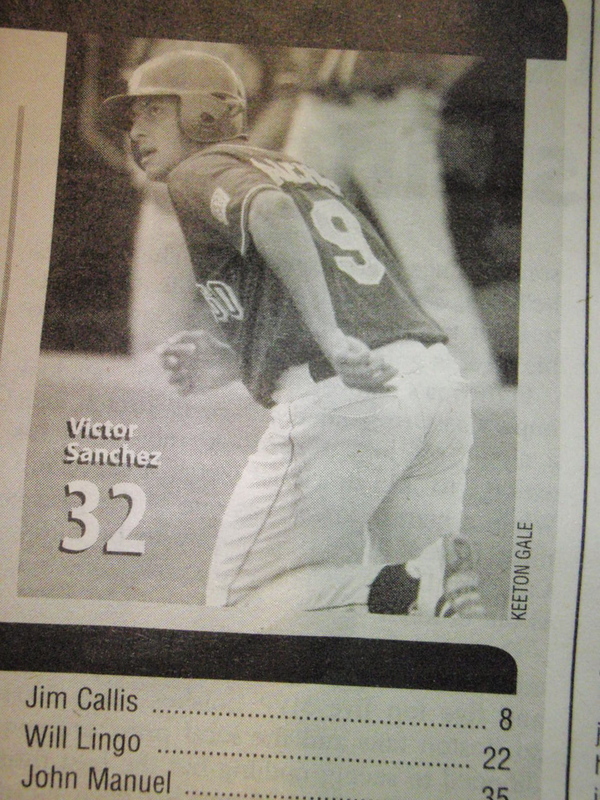 He just got a picture in this week’s Baseball America, which is out today. We’re all very excited for him. When he told me a few months ago that he had emailed Baseball America about taking pictures for them I told him that wasn’t a good idea, but he obviously proved me wrong and I’m very proud of him. That’s a great story… Thanks for sharing it. Congrats KC, never accept anything but the best for your life!!! !